San Diego has some of the most beautiful Catholic parishes in the country. Unfortunately, most of the parishes do not have ample facilities to host a dinner wedding reception. 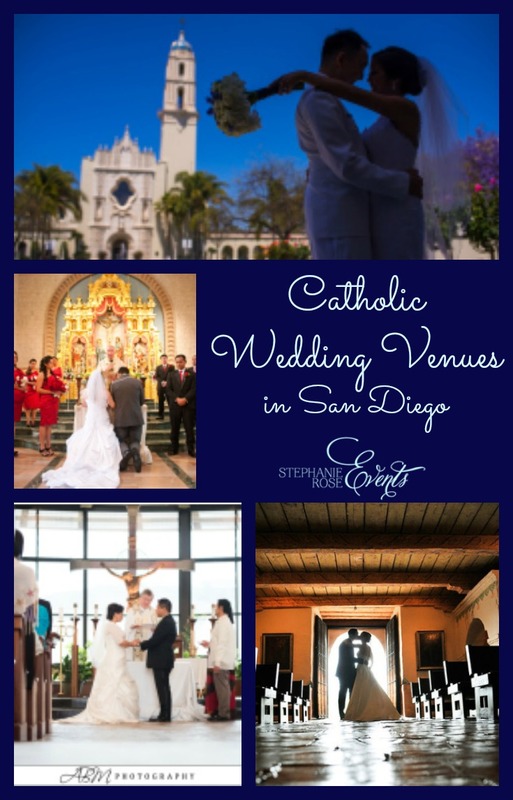 Below are our favorite picks for reception venues close to your San Diego Catholic church. Stephanie Rose Events specializes in Catholic wedding planning. We know the unique challenges of planning a Catholic wedding Mass with a dinner reception. Schedule your free wedding planning consultation here and let us help you be a guest at your own wedding or use the form below for more information. Catholic Weddings – Can I Get Married Outside?